Zimbabwe’s latest crisis: it’s the economy – and politics, stupid! The images of economic crisis in Zimbabwe are all too familiar. Queues for petrol and cash, commodity hoarding, parallel markets in currency, rising inflation and so on. It all seems reminiscent of the dark days of the mid 2000s, in the build-up to the full-blown crisis of the hyperinflationary collapse of 2008. This was not meant to be how the much-hailed second republic started out. Bill Clinton’s 1992 election slogan, ‘it’s the economy, stupid’ does ring true. Years of economic mismanagement, deep corruption and failure to invest, combined with sanctions, credit embargoes and investment freezes, have taken their toll. But the current crisis is also to do with politics, both domestic and international. Tony Hawkins, an economics professor at the University of Zimbabwe, recently gave a widely-circulated talk to the British Council on the economic travails of Zimbabwe. There was much to agree with in his summary of the situation. The economy is uncompetitive, he argued, not helped by the appreciation of the US dollar by 17 percent since dollarization, the huge loss of value of the South African Rand and rising oil prices. Estimated 14% revenue increases from tobacco, gold and other minerals are offset by a massive hike in state expenditure, up 57%, exacerbated by election commitments to public servant wage hikes. The budget deficit has ballooned to $3.3 billion, with a projected trade gap of around $2.5 billion. What’s more, he said, the total national debt now stands at a staggering $22 billion, now more than the GDP. Government borrowing continues to grow, crowding out the private sector, and putting pressure on available finance for investments, as people seek cash on the (expensive) parallel market. Inflationary pressures are also increasing dramatically therefore, with money supply far exceeding (formal) GDP growth. But, despite the value of this description (repeated of course in numerous assessments by the IMF, the World Bank and other economists), his diagnosis of causes was only partially on target, and his solutions missed crucial dimensions. Causes were laid largely at the door of domestic economic policy (or lack of it) and corruption by the ruling party. This, as is well documented, is a key part of the story. From Gideon Gono’s use of the reserve bank as a political tool in the ‘casino economy’ years to the massive expropriation of diamond resources, both show how the Zimbabwean economy has been destroyed from within. This has not been the only story. The sanctions imposed following the land reform of 2000 took their toll too. While only targeting select individuals, and withdrawing aid from government led programmes, this signalled diplomatic disapproval from the West, and it had a major impact on patterns of economic support. Aid programmes still continued but under a humanitarian label channelled through NGOs. But much more significant was the withdrawal of international finance and credit lines. This had a devastating impact and, even if not directed by official sanction policies, were their direct consequence. Despite the easing of diplomatic tensions in the post-Mugabe era, and the charm offensive that Mnangagwa has been engaging in from Davos to New York, the situation has not fundamentally changed. Hawkins does point to the problem of ZDERA (the Zimbabwe Democracy and Economic Recovery Act of 2001, amended this year) in particular. This is the US law that prevents the US government supporting Zimbabwe at the IFIs, without implementing a set of political reforms. In the coming months, this will likely prevent the US rep at the IMF backing a recovery plan, making the position of others on the IMF board crucial if any changes to support Zimbabwe’s recovery are to be realised. The new finance minister, Mthuli Ncube, knows all this, but does he have the leeway to change course? He is severely hampered by the political legacy of sanctions and other ‘restrictive measures’, and deep distrust across international actors. However, there have been some good signs. His interviews with Bloomberg and speeches around the world have mostly been impressive, and suggest that he is committed to a major economic restructuring. Some of this will be tough, and will be highly political. A test of the new government’s commitment will be how far he is allowed to go. Already attempts at introducing taxation measures have resulted in protests. What happens when he is forced to cull the public sector, massively reducing the salary bill, or overhaul the currency system, which benefits those dealing on the black market, including powerful individuals well connected to the political system? Clearly the stop-gap measure of a “multi-currency” environment that followed the abandonment of the Zimbabwe dollar and the adoption of the US dollar is no longer working. Local ‘bond notes’ were supposed to be backed by external hard currency finance, but are clearly no longer, and are fast losing value. Stalling the massive flow of hard currency out of Zimbabwe is vital, and this means ending the pretence of equivalence between greenbacks and bond notes. Sticking to the US dollar in a period when US protectionism is boosting its value is risky too, as it makes everything absurdly expensive. But setting up a new currency in such straitened times is not wise either, given the low levels of confidence in the economy. What to do? 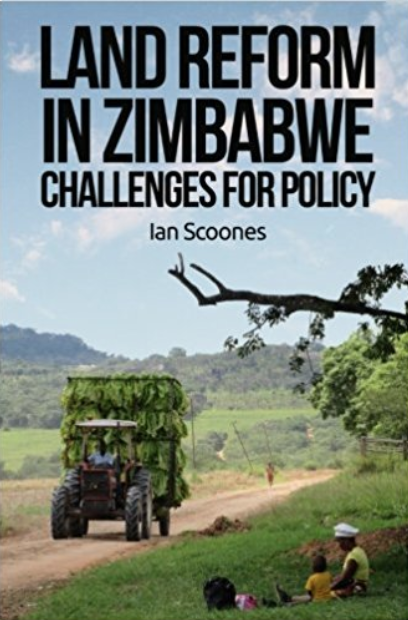 Given the dire experiences of structural adjustment from 1991 – which in many ways set the scene for much of Zimbabwe’s current malaise – making the case for IMF stabilisation intervention, combined with a HIPC-style debt relief package, with all the raft of expected conditionalities does seem rash. But there really doesn’t seem to be any other option currently. The Chinese are fed up with Zimbabwe given its failure to pay back loans in the past, and the ‘socialist solidarity’ line has worn thin. Reluctantly, this may be the only route. Assuming a political route to reform can be created, it therefore matters a lot what such reforms look like, and how they are implemented (lessons from Greece and others of course). Where I fundamentally part company with Hawkins’ analysis is his disparaging rejection of the importance of the rural economy. Like so many conventional economists, he focuses on the urban, industrial sector, forgetting that this is dependent on a wider economic system that remains substantially small-scale, informal and rural. The distinctions between ‘formal’ and ‘informal’ economies in Zimbabwe are irrelevant today: most of the economy is ‘informal’, and that’s where livelihoods are made. In the rural areas this is especially so. And, as we have shown in our research over many years, this is vibrant, growing and generating employment in significant ways, particularly when linked to land reform areas that are producing surpluses and creating spin-off linkages in local economies. It is far from dead, as Hawkins suggests, but it is different to what went before. This is not backward-looking rural traditionalism, bound by archaic cultural norms, as Hawkins seems to suggest, but the new economy; one that everyone must get used to and support. For sure, it is the ZANU-PF support base, and the reason they won the parliamentary elections, but that makes it even more important that the government gets its reforms right for rural people, as well as the urban middle classes. The small steps towards a positive dynamic of rural growth spurred on by land reform however stalls dramatically when the wider economy is in crisis. With no liquidity, investments dry up, and with a lack of credit, the financing of new operations cannot occur. If inflation kicks in, as it is now (some estimate that annual inflation is touching 50 percent already), then the value of goods is uncertain, and economic transactions are risky. The result is that the economic dynamism ceases, and livelihoods are affected up and down value chains, from agricultural producers to traders to processers to wholesalers to retailers and consumers. This is what happened in the mid-2000s, and again is what is happening now. But rather than dismiss rural people and areas as economically backward, somehow culturally unable to engage with a modern economy, policymakers and economic advisers need to appreciate the potential of the agrarian economy, and encourage investment. Simply wishing an industrial revival without a core agrarian productive base supporting the mass of the population is foolish, especially in Zimbabwe’s context, as a small economy operating in a highly competitive global environment. Wider stabilisation, debt write-offs and addressing inflation and currency instability is vital at the macroeconomic level and must be central to Mthuli Ncube’s agenda. But his next step must be to set up the type of investment strategy that allows a dispersed, largely informal economy to thrive, and contribute to growth and employment in multiple ways for long-term, sustained and equitable recovery. Only then will links be made that allow the industrial and service sectors to thrive, and taxation and so government revenue raising to be applied. The post land reform economy does not look like that of the 1990s in the earlier adjustment era, or the post UDI sanctions period in 1980. Big ticket ‘modern’ investments in agriculture, tourism, maybe even some industries, will be important, but they must not undermine or take attention away from the key challenge, which is supporting the real, predominantly rural, economy where most people make their living. The on-going negotiations with the IMF and the wider diplomatic and donor community are of course not just about economic restructuring, investment and financial prudence. They are also (of course) about politics. With Nelson Chamisa and the opposition MDC still not recognising the results of the elections, their lobbying of western governments continues. Their strategy is unclear, but it seems to be to encourage the US in particular to maintain sanctions and the ZDERA law, with the aim of extracting political concessions for the long-term. 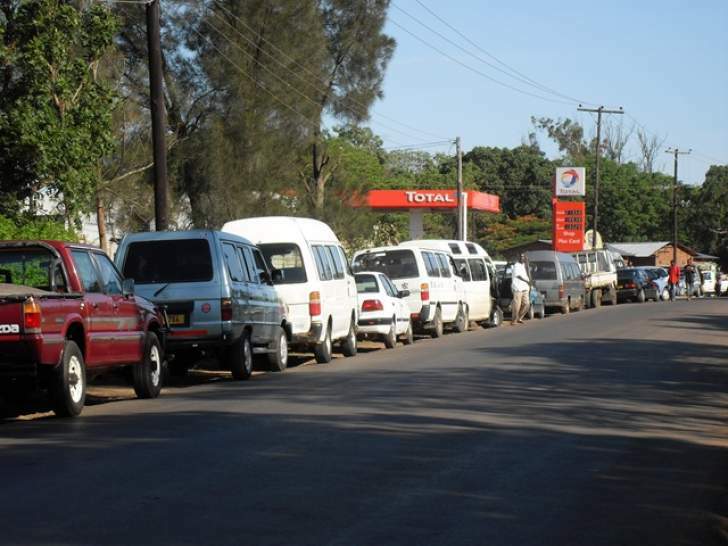 You can see the rationale, but the consequence is that the economy is nose-diving and people are suffering; if not from cholera due to lack of investment in urban infrastructure, certainly from growing economic hardships, even if this is only queuing for petrol at night. This may backfire, with the opposition seen as holding the country hostage, undermining recovery for political gains. Calls for demilitarising the state apparatus as part of conditions are appropriately central to many demands. The latest bogey-man for the international community is of course the Vice President General Chiwenga. But, with ZANU-PF, despite the new, PR-branded version that President Mnangagwa is projecting, a securitised state is likely to persist, even after the army has returned to the barracks or swapped uniforms for suits. A technocratic-military state is a feature of the current dispensation, and by some seen as a positive route to implementing a state-led (aka ‘command’) developmentalist policy, in the mode of Kagame in Rwanda or previously Meles in Ethiopia. There are divisions amongst the western diplomatic community on how to move forward. Some take a pragmatic stance and argue that a stabilisation bailout will create stability, and allow the economy to function, arguing that conditions for future elections and a deeper embedding of (western-style, liberal) democracy will emerge only when the country is not in crisis mode. Others make the case that a crisis of legitimacy following the elections means that this is the moment to exert pressure on Mnangagwa and exact the maximum concessions in favour of the opposition’s stance. Economic crisis is a price worth paying if political reform emerges, goes the argument. Within ZANU-PF and the MDC, as well as commentators not linked to any party, all shades of opinion exist. What all agree is that a return to 2007-08 is not desirable, and that action to avert this needs to happen soon. And I would add: a focus on supporting the informal sector and the agrarian economy – and the linkages beyond – is vital to any way forward. This post was written by Ian Scoones and this version first appeared on Zimbabweland. I think people misstate the effect or extent of economic sanctions. 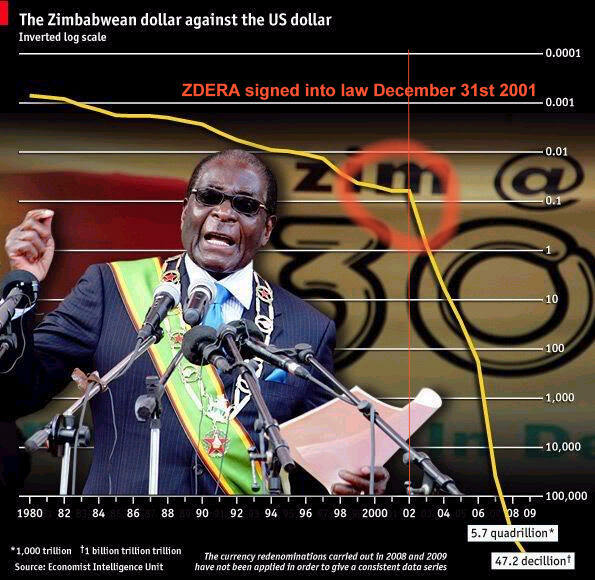 Economic sanctions were enacted against “the Goverment of Zimbabwe”, severing lines of credit at the World Bank, IMF, African Development Bank, Asian Development Bank and more in the year 2002. (2) any cancellation or reduction of indebtedness owed by the Government of Zimbabwe to the United States or any international financial institution. Which are the institutions in question? (1) INTERNATIONAL FINANCIAL INSTITUTIONS- The term ‘international financial institutions’ means the multilateral development banks and the International Monetary Fund. (2) MULTILATERAL DEVELOPMENT BANKS- The term ‘multilateral development banks’ means the International Bank for Reconstruction and Development, the International Development Association, the International Finance Corporation, the Inter-American Development Bank, the Asian Development Bank, the Inter-American Investment Corporation, the African Development Bank, the African Development Fund, the European Bank for Reconstruction and Development, and the Multilateral Investment Guaranty Agency. So in 2001, the Zimbabwean government, not individuals within the government, but “the Government of Zimbabwe” (quoted twice) had it’s lines of credit severed. So what was the effect when this 2001 law came into effect in 2002? Notice the abrupt change in the rate of inflation from 2002 onwards. If you extend the trend of inflation upto 2001, you can quantify the damage done to the Zimbabwean currency. It is very clear from this chart that world record hyuperinflation in Zimbabwe was *caused* by sanctions. Specifically, the sanctions legislation ZDERA 2001.
Who sponsored this bill? Bill Frist. Who co-sponsored it? Russ Feingold, Hillary Clinton, Jesse Helms and Joe Biden. Just a reminder of the effect of economic sanctions on the Iraqi economy. That’s the power structure you’re dealing with.